The WaterRower A1 Home Rowing Machine is the basic model and features a simplified monitor and differs from dual-rail machines with its unique mono-rail. The WaterRower A1 Home is handcrafted in premium Ash hardwood with a sleek aluminum monorail design. Each machine is left unstained and has been hand finished in Danish Oil to provide a deep luster and warmth to the wood. For reasons of ecology, all woods are harvested from replenishable forests. 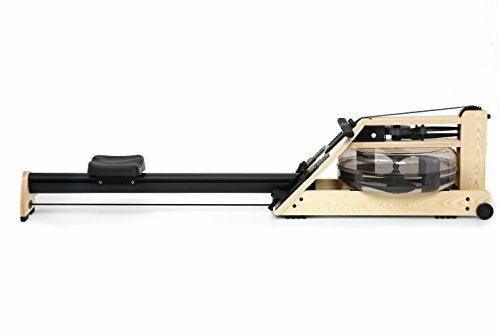 Warranty: 3 Year Parts / 5 Year Frame *DISCLAIMER: WaterRower will not provide support or documentation for any product transported outside of the original country of purchase.